Before you start making a blind, you need to get the measurements absolutely right. Here's how. If the window has a deep recess, you can fit the blind inside for a neat finish. Measure the width of the recess in three places using the metal measuring tape, and note the smallest measurement. Measure the length in the same way (taking three measurements), from the top of the recess to the sill. For a window without a recess, measure the width of the window and allow an extra 5cm either side, to help block out light. Alternatively, if the window has wide mouldings, you can measure so that the blind will be flush with the edges. The brackets or track supporting the blind can be fixed to the wall or to a wooden batten, ideally fixed 4 to 5cm above the window, or screwed to the window frame if it’s wide and flat enough. Measure the length from the proposed fixings to the sill. 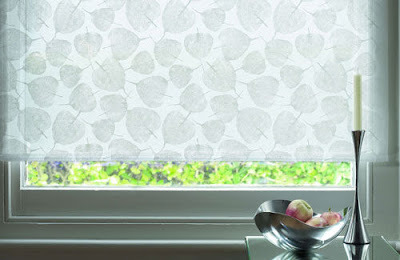 Buy a ready made roller blind (or a roller blind kit) the size you need or wider as it can be cut to fit. Check that the length of the blind will be longer than your window measurements. See tips below for other types of blind. Measure twice to avoid a costly mistake. Roman blinds (which fold into flat pleats), Austrian blinds (ruched), and London blinds (soft pleats) can all be fitted inside or outside the window recess, and are attached to specialist tracks or to a batten. 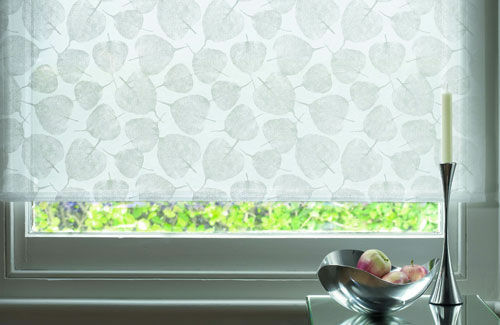 Roman and London blinds should be bought or made to the exact size needed if they are to be fitted within a recess, while Austrian blinds can be gathered at the top to adjust the width.